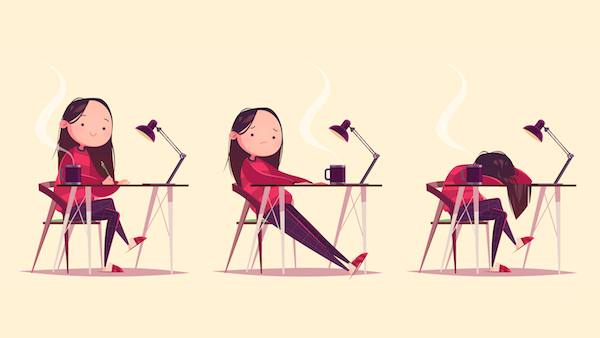 Contrary to what others might think, creatives work extra hard and are more likely to be “overwhelmed,” claims a new survey. The finding comes from a study of 400 in-house creative professionals by creative leadership association InSource and workflow solutions company inMotionNow. Creatives face a distinct kind of pressure from those in other fields—companies often rely on small creative teams for large output. In fact, the survey reveals that it’s common for a department of under 10 employees to serve an ecosystem of over 50 stakeholders. “The level of dedication and performance these creative teams present is remarkable and generally under-recognized by marketers, especially in light of the results they help businesses achieve,” said Alex Withers, CMO at inMotionNow. The two most common challenges creatives face are the speed at which they’re expected to work and the volume they’re supposed to generate. For the creative workflow, participants voted “creative briefing and project intake” (42%) as their greatest challenge. Furthermore, respondents agreed that they’re swamped by too many administrative tasks to think at their creative best. 46% claimed they spend three to seven hours per week completing non-creative work, and 24% said they spend seven or more hours on admin duties. “That’s about one full day every week, or 20% of creative time spent annually,” explained the researchers. Need to unwind? These nine easy ways to destress might come in handy.